Advertisement is a key to get a successful outcome, ever since ads are being implied commercially in the corporate world, people get familiar with brands and products on the spot without taking much long. There may be various channels and mediums to give vent to a company’s product and might cost more or less; depending on one’s budget. 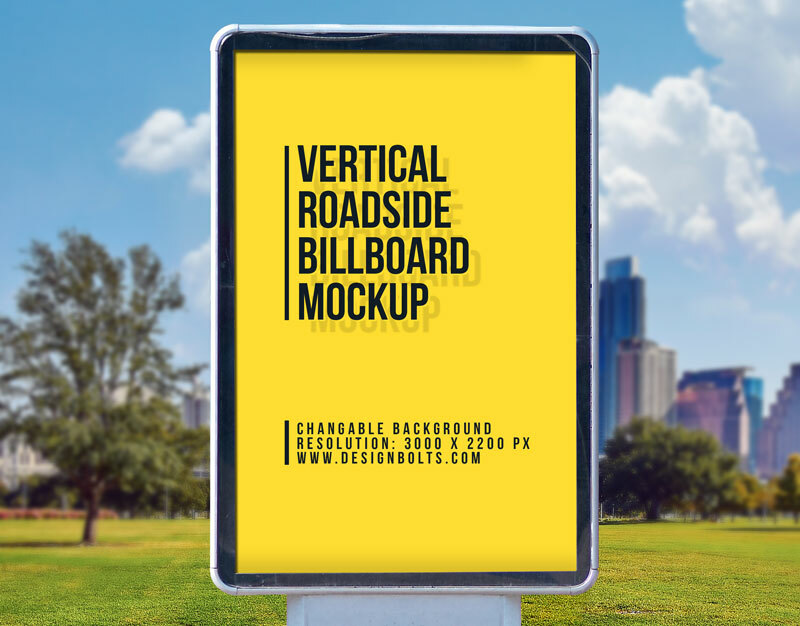 The most centralized and cardinal of advertisements are roadside depiction and placement of ads posted/played on bigger billboards/building or on lampposts. It is easier to get accustomed and connected to the brand/firm/product of business. Basically it is a way of reflecting their stance and anatomy, that how well they are cooperating, facilitating and supporting people, how actively they offer their services, how they go about and what quality they undertake in their products’ line up. Designers are often asked to make a beautiful advertisement and also design company’s perspective/elements exquisitely to generate an impactful presentation. For this here are some tips for designers: Focus, requirements and repertoire mentioned by the client. In this way it will be a lot easier to put up with a unique advertisement that shows the [perspective of the company or its products. 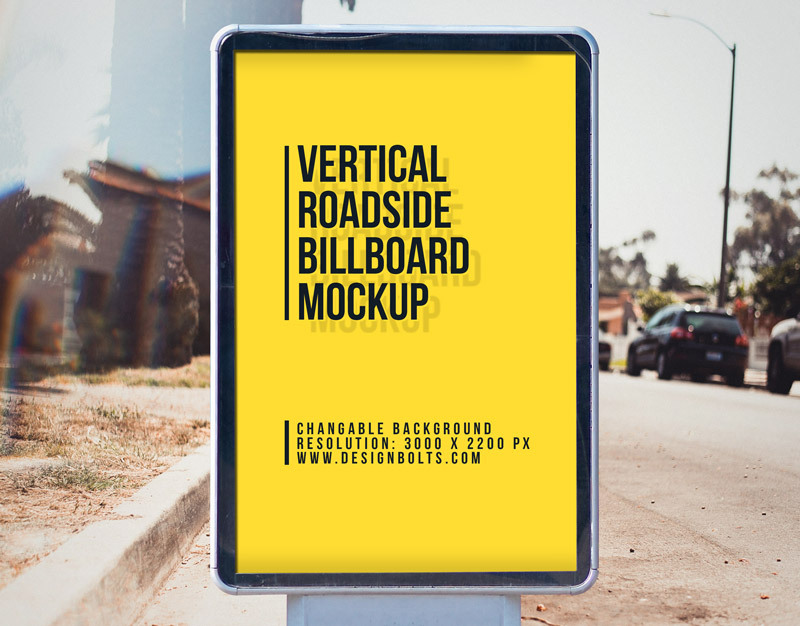 Down here I am proving you a post of free roadside street billboard mockup in which you can insert in the design elements being asked by your client. Using bigger fonts will make it more readable and communicative that even from a greater distance any pedestrian could get the glimpse of it. For more amazing design dose, stick around and let us know about your design needs so we accommodate you accordingly. Anticipating your feedback. Guys don’t forget to subscribe to our blog for daily design feed. We are coming along with tons of useful posts that will interest you all for sure. Here we go.